More often than not, if you’re reading a post here or on social media, it’s one of two people: the first loves film, and the other loves books. Ours is a voice that is thoroughly entrenched in “traditional” media. So, while we both know better than to actively allow that prior experience to cloud our judgement, working in “New Media” (in quotations because it hardly seems new anymore) means we need to do more than simply check our words. It is understanding that is so vital in this arena. That’s why last week we asked about your interest in streaming! 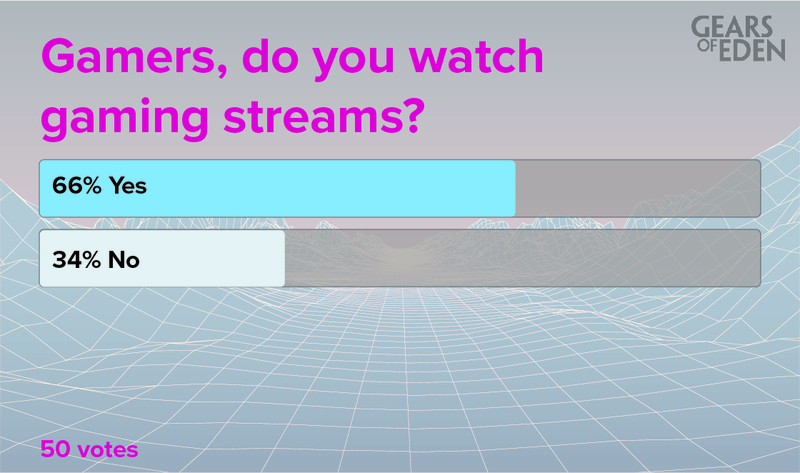 It’s important that we know how to reach our audience best, and 66% of voters said that streaming is a way to do that. Fortunately, this isn’t an entirely foreign activity for our entire team (I even spent Sunday watching my favorite streamer throw himself at the cruel final(?) boss of Persona 4 Golden), so if we do go this route, you can rest assured that we’ll be prepared. Of course, this is purely hypothetical; we need to make sure that we are prepared and that our personal strengths actually work for that medium. We may not be the most entrenched in streaming culture, we know that it’s very hard work. That’s it for this week’s Fan Feedback update though, but if you look up, you’ll see this week’s poll! Vote now and tell us what you think of games with multiple story endings, and reply to let us know what games you think get it right. We’ll be responding to your answers next Monday, but if you’re interested in hearing the latest developments for our project, be sure to come back on Wednesday for the week’s Dev Update! You could also follow us on Twitter and Facebook, which make it so easy to get the latest updates on all things Gears of Eden. Thank you for reading, thank you for voting, and have a wonderful rest of the week!